A delivery run to the other side. In a word - stunning. Thanks Rose. And yes, I hope that people realise that too! I love seeing these snapshots of your world, Lynda! We were doing a Hay Cap delivery run over to the coast and took the scenic route! Stunning drive and such a contrast to the flat landscape of home. Lovely mountains! Very rough country. Ag uses or just scenery and recreation? This is the Kosciuszko National Park, Australia's highest mountain range (can't actually see the highest mountain Mt Kosciuszko, it is tucked behind one of the other peaks in the right of the photo). Being a national park a lot of it is off limits, but there are ski resorts, and during summer a lot of hiking, mountain bike riding, kayaking, horse riding etc. 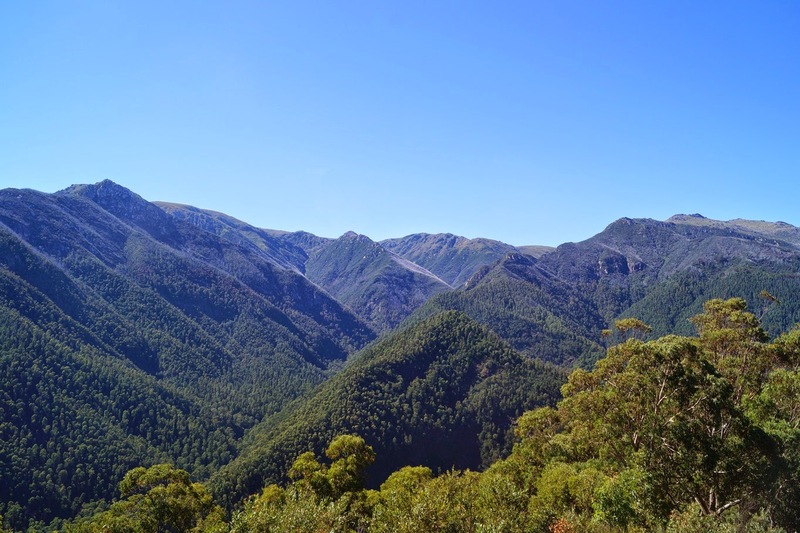 The mountains are all part of the Great Dividing range that stretches through 3 states, and divides the eastern coastal regions of Australia with the inland. Often also referred to as the city and country divide.